Movie to stage adaption are a common thing in musical theatre these days. Some work well, others don’t. 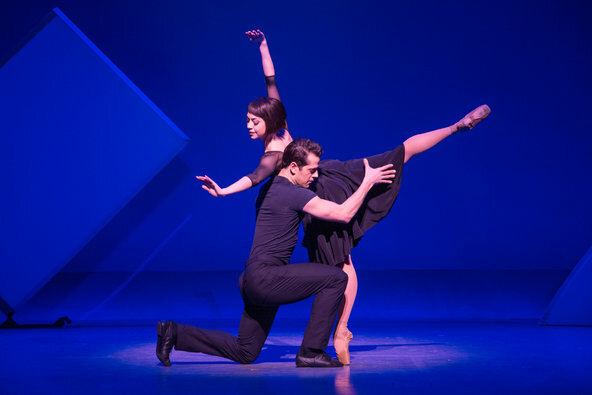 I am open to this kind of show but I admit when I first heard about a stage version of An American in Paris – a ballet / musical version – I was slightly worried. Not because I thought it wouldn’t work but because An American in Paris is one of my all time favourite movies. It’s the movie that sparkled my love for musicals. Gene Kelly singing and dancing was something I could watch again and again without ever being bored. But despite having doubts about this new musical production I obviously had to go see it on my last trip to New York. After a try out in Paris (where else?) 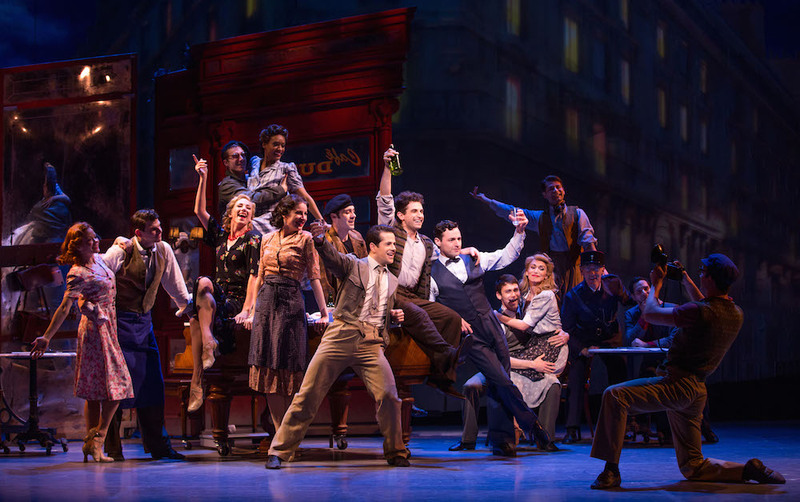 an American in Paris opened on Broadway in April and has quickly become one of the best-selling shows in town. We all know the story of Jerry Mulligan who – after the second world war – decides to stay in Paris and make a living as a painter. In this production the story has been slightly altered to fit the new ballet theme which works quite well. I do prefer the film story but I understand where the changes are coming from. Robert Fairchild plays Jerry Mulligan with such grace and enthusiasm it’s impossible not to fall for him. If Gene Kelly had been a ballet dancer this is what I think his dancing would have looked like. Robert Fairchild is quite simply a gorgeous dancer and a wonderful actor and singer. Jerry Mulligan’s object of affection, the ballet dancer Lise Dassin (in the movie Lise “just” sold perfume in a shop) is brought to life by the exquisite Leanne Cope who is all around stunning. Lise is attached to Henri, the heir to a textile fortune who secretly wants to be a nightclub singer. Henri is portrayed by Max von Essen who gives a charming and funny performance and stands out with his exceptional voice. Jerry’s friend Adam Hochberg – an aspiring composer – is played by Brandon Uranowitz and provides some of the best one-liners in the show – dry humour at its best. The score is breathtakingly beautiful – from “I got rhythm” to “I’ve got beginner’s luck”, “Fidgety feet” and “They can’t take that away from me”. You will find yourself swaying along to the music and the songs will stay in your head for days to come. Combine this with an exceptional ensemble and brilliant choreography and you have a musical theatre dream. This show has everything I love about musical theatre. It’s a classic love story told through song and dance by a cast of performers who ooze charm and obviously love what they are doing. I haven’t left the theatre that inspired and happy after watching a musical in a long time. 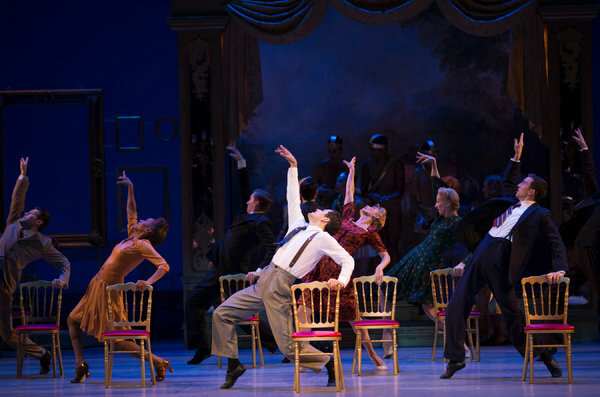 An American in Paris will definitely leave you with fidgeting feet.